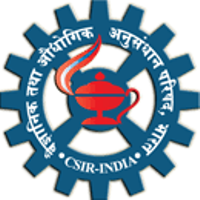 Description: CSIR-CSMCRI invited Research Associate (RA) Posts on contract bases. Qualification: PhD in Biological Sciences. CSIR – Central Salt & Marine Chemicals Research Institute - CSIR CSMCRI published an official notification for Recruitment of Research Associate (RA) for 01 posts. Eligible candidates can apply for this recruitment. You can view more details about this recruitment including No. of posts, name of post, Educational qualification, Age limit, Selection process, How to apply etc... You can also view official notification and other important facts about this recruitment e.g. Important links and Important dates. Interested candidates meeting the above requirements may attend the walk-in-interview with a copy of detailed biodata, original certificates along with their attested photocopies and a passport size photograph on October 31st , 2018 at 9.30 A.M. at Central Salt & Marine Chemicals Research Institute, G B Marg, Bhavnagar-364002. The selection of candidates will be done by conducting a personal interview on the same day.